Edinburgh RIC branch proposals to RIC National Forum in the event of a ‘Yes’ vote on September 18th are appended after the RCN bulletin. 1. WHAT HAPPENS AFTER SEPTEMBER 18th? 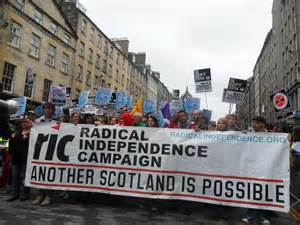 The Radical Independence Campaign has been growing from strength to strength. Beyond the official national SNP front ‘Yes’ organisation there are many independent campaigns. People are developing a real thirst for political engagement. This will not be sated by putting an ‘X’ on a referendum ballot on September 18th. 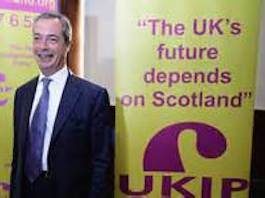 People are looking for a new Scotland in a better world. 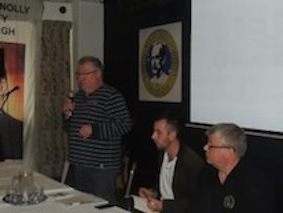 James Slaven of the James Connolly Society provides us with the following report of its very successful conference held on Saturday October 12th in Edinburgh. For the second time this year*, the Radical Independence Campaign provided a speaker for a JCS organised event. The speaker on this occasion was Liam O’Hare of Edinburgh RIC. David Maguire introduces Liam O’Hare (Edinburgh RIC) and David Hewitt (JCS). On 12th October the James Connolly Society hosted one of the most significant political events for Scotland’s Irish community in decades. People from throughout Scotland attended the Connolly Conference 2013 in Edinburgh to listen to speakers from Scotland, England, Wales and Ireland discuss issues of importance to our community. The event also included an exhibition from the Let Us Rise! social history project. 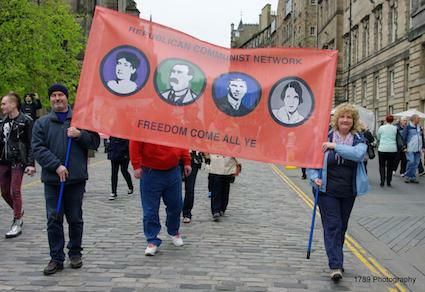 This exhibition looks at Connolly’s legacy in Scotland and the struggle to commemorate his life in Edinburgh. 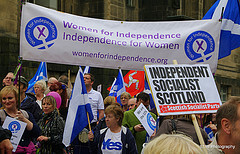 RCN members, Patricia Kirk and John Lanigan were at the Scottish Independence March and Rally in Edinburgh on September 21st. Below are posted some of the images and film they took of this event. éirígí’s Rúnaí Ginearálta, Breandán Mac Cionnaith, has responded to the decision by the Sinn Féin leadership to endorse a meeting with the British queen, Elizabeth Windsor, commander-in-chief of Britain’s armed forces. Mac Cionnaith said, “The decision by Sinn Féin to meet with the British queen is not in the least unsurprising, unanticipated or unexpected. However, that decision needs to be examined in a broader context. “One calculated outworking of that strategic decision in domestic terms has been the unprecedented acceptance and copper-fastening of partition by that party, and its consent to continuing British government control over part of Ireland, to such an extent that the party is now a willing and integral participant in operating the mechanics of partition and injustice. “Paying lip-service to demands by families of British state violence for justice and truth while simultaneously acting as a prop for maintaining British injustice has now become one of the hall-marks of the Sinn Féin party. “The reality of the unchanged nature of British control and the inefficacy of the Sinn Féin approach was highlighted on Monday (June 18th) when incontrovertible proof in the form of official British government documents revealed how, in July 1972, the state at the highest levels officially sanctioned the use of deadly force by its troops against Irish citizens and ensured that members of the Crown forces would receive indemnity from prosecution. “Further evidence that the 1972 policy is not a mere “legacy issue” but an ongoing and central part of current British policy was demonstrated by the revelation on Wednesday (June 20th) that the British government had rejected a request by the families of the victims of the Ballymurphy Massacre for a public inquiry into those state murders. “Sinn Féin has also moved away from its working class base and from any semblance of even a thin veneer of socialist politics to a position where it can freely and frequently advocate and ally itself with the interests of the domestic and international business and financial communities. “It has consistently proved to be a willing tool in the imposition of private finance initiatives and the implementation of the British government’s austerity measures which penalise the young, the old, the sick, the unemployed and those workers on low wages. At the same time, that party has the audacity to hypocritically criticise other parties in the 26 Counties for implementing exactly the same policies at the behest of the Troika. “In many respects, Sinn Féin today is mirroring and replicating the gradual and total abandonment of core Irish republican ideals in very much the same manner as was practiced by Fianna Fáil in its early history. “Given that Sinn Féin has decided to target Fianna Fáil’s electoral constituency in the Twenty-Six Counties, it should be no surprise for anyone to learn that Sinn Féin’s current primary objective is to re-create and re-brand itself as some sort of 21st century version of Fianna Fáil with all that particular and discredited political direction entails. “Meeting with and recognising Elizabeth Windsor as head of the British state in Ireland is but another step along the disreputable path of reformism and one more premeditated and calculated step further away from the revolutionary goal of establishing a free, sovereign and socialist Republic in Ireland. Most commentary on the royal visit the North have focused on the symbolic significance of the handshake between Elizabeth Windsor and Martin McGuinness. The literature of Marxism takes a very different position. The power of royalty is a material power, part of the mechanism of capitalist rule where it is retained as part of the state apparatus. There are no circumstances where the Marxists are reconciled to royalty and we always seek its destruction. The capitalist state rules through a combination of social control and the use of force. Royalty plays a role in both. As a mechanism of social control the trappings of royalty extend far beyond the royal family – to the aristocracy, the landed gentry and to the army of OBEs, CBEs and knighthoods that infest many social institutions such as the police, the health service and the media. Nowhere is the culture of kowtowing to royalty more deeply entrenched than in the armed forces. It is not for nothing that the ceremonial uniforms that royals wear on state occasions represent different branches of the state forces or that they hold allegiance to the queen rather than directly to parliament. Socialists who argued that this was empty symbolism because capitalism operates through parliament were ridiculed by the Marxist theoretician Leon Trotsky. This was only true, he argued, when capitalism had a firm grip on the working class. If the hold of parliament weakened then a whole extra-parliamentary and extra-judicial mechanism was at hand to stamp with an iron heel on the workers. Of course there is one place where the social control elements of royalty and the elements of force come together and that is in the North of Ireland. Founded on the last mutiny by the British army, sustained by unionist and loyalist political currents slavishly loyal to the crown, hostile to parliament and linked to armed force within and without the state apparatus – there was little doubt what Martin McGuinness was shaking hands with. 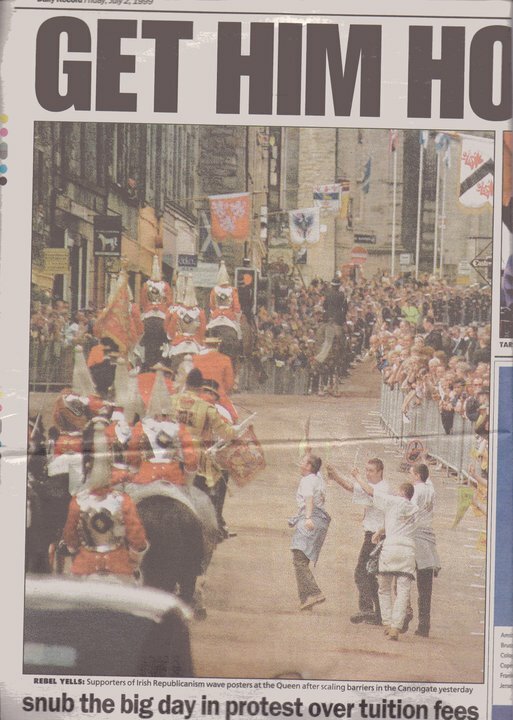 If there was, it should have been dispelled quickly a few weeks later, when Sinn Fein acted as police to ease the path of her majesties subjects as they yet again asserted their sectarian dominion through the 12th parades. 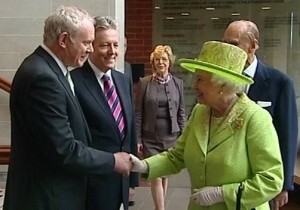 So Martin McGuinness has finally met Betty Battenberg. It is obviously a matter for Sinn Fein who they meet but from the outside this looks like another ‘leadership initiative’ which has nothing to do with improving the material conditions of the working class or advancing towards the Republic. It does however put republicans outside Ireland in the position of having to decide whether to show solidarity with this act or not. 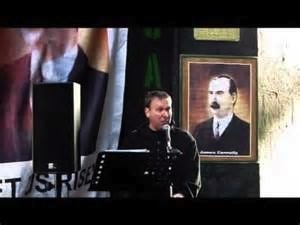 For our part the James Connolly Society have been critical of the SNP leaderships decision to come out as monarchists and abandon their party policy of holding a post independence referendum on the future of the monarchy. This is because we believe monarchy, and hereditary power and privilege they represent, have no place in a democratic society and the role of republicans is to actively oppose monarchy and advocate the establishment of a republic where people are sovereign. While Sinn Fein have not went as far as the SNP their decision to meet the British monarch is one many of us outside Ireland are unable to support. Many people have sought to justify this decision on the basis that the meeting is just symbolism. This is disingenuous in the extreme. While the constitutional role of the monarch in the UK state may be symbolic the British monarchy also plays a key ideological role. The monarch’s visits to Ireland (and Scotland) like their weddings or jubilees are used by the state to reinforce its influence and power. The monarchy serves to strengthen and legitimise British hegemony on these islands. This meeting has been on the cards for some time and the JCS have been discussing its inevitability and its consequences. During one of these discussions one joker pointed out that I had actually led the way on this issue as I had met Betty Battenberg back in 1999. The occasion was the opening of the Scottish parliament and I should clarify something at this point by pointing out that we were not invited but thought we had something to contribute anyway. The JCS thought it was disgrace that the British monarch was invited to open the new Scottish parliament and decided to let her know. At the same time the residents of Garvaghy Road were living under siege from so called ’Loyal Institutions’ such as the Orange Order and we decided support for the residents should be central to the protest. The whole story of that day has never been told and sadly there is not room to tell it here. However this protest was organised with the full knowledge of Sinn Fein who at that very time were in negotiations with the British government and Unionist leaders at Stormont. In fact the JCS had made a decision the previous evening to call the protest off if an agreement was reached in those overnight negotiations. On the morning of the protest we spoke to Sinn Fein who confirmed no deal had been reached and the rest as they say is history. All the protesters were resplendent in JCS ‘Disband the RUC’ t-shirts and ‘End the Siege of Garvaghy Road’ placards. Evading the cops we made our way over the barriers and past the royal protection squad. Once I was on the carriage I saw old Phil trying to get out the other side and noticed Betty could not take her eyes off my Disband the RUC t-shirt. I only found out later that Charlie was sitting opposite. He was very quiet. I still had the placard in my hand and despite the best efforts of the armed cops in fancy dress on the back of the carriage me and Betty shared a moment. The conversation must remain between the two of us (for now at least) but suffice to say I made my point robustly. Our discussion was interrupted by one of the JCS shouting my name and just as well really as I was about to be attacked by a horse or more accurately someone dressed as a Beefeater on a horse. At this point I decided to make my excuses and leave. What happened next is for another day but it involved special forces, a gun on a string, refugees in Kosovo, terrified cops, handcuffs that didn’t lock and Tommy Sheridan. 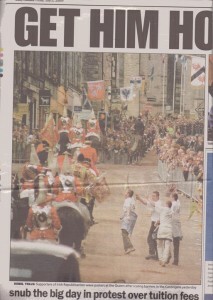 All of that was thirteen years ago and as many people never tire of reminding us much has changed in the intervening years. And indeed it has but much remains the same, such as the British state’s continued denial of the Irish people’s right to national self-determination. Another thing that remains the same is the JCS’ commitment to the political philosophy of James Connolly and our commitment to working with others to end the monarchy and breakup the British state. 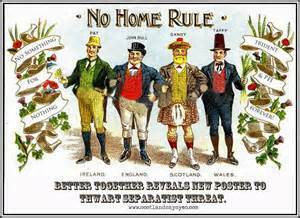 At this political-economic conjuncture the UK state is in constitutional flux and desperately trying to reconfigure itself for the 21st century. Now is the time for republicans to be bold, principled and ambitious not to pander to anachronistic and sectarian manifestations of Britishness and elitism such as monarchy. Had Martin sought my advice one tip I could have given him was that if he wanted to speak to Betty Battenberg in a language other than English he would have been better brushing up on German. I also could have advised him that, in my experience of such meetings, republicans would be better taking the James Connolly Society’s approach rather than Sinn Fein’s when it comes to meeting monarchy.